Heads up all you generous people of Adelaide! 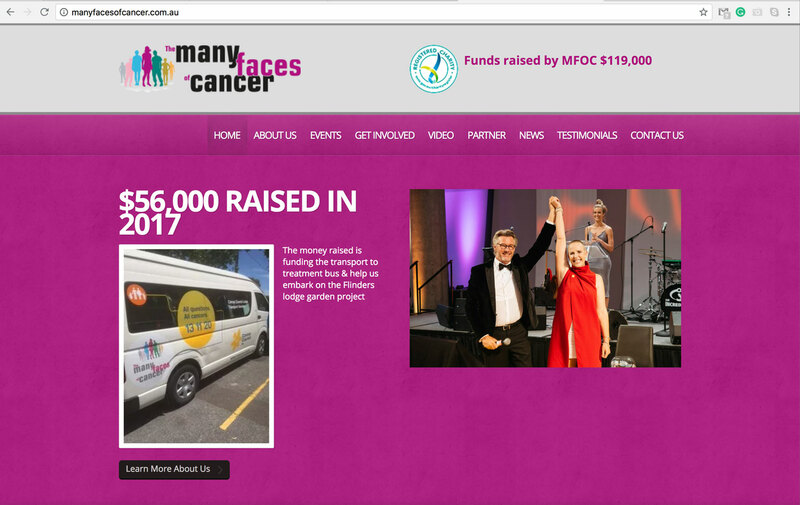 Clear your calendars on 14 June 2014 for The Many Faces of Cancer 2014 Charity Dinner at 06:30 pm, Hilton Hotel, 233 Victoria Square, Adelaide. The 2014 Event features Master of Ceremonies, Mr George Kapiniaris; Three meal course; silent and live auctions and entertainment by well-known Adelaide band, The New Romantics. We are very proud supporters of this event and helped put their website together.